An illustration from Ghost Recon: Future Soldier by Microsoft. The future is little teams operating on land, in the air, and online, taking on enemies that haven’t declared themselves. 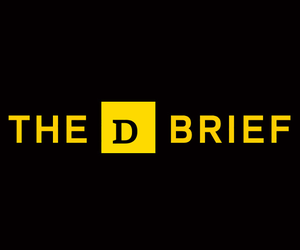 The U.S. Army’s new draft strategy for 2025 to 2040 expects enemies to attack ever more lethally in multiple domains — land, sea, air, space, and online — while blurring the distinction between peace and war. 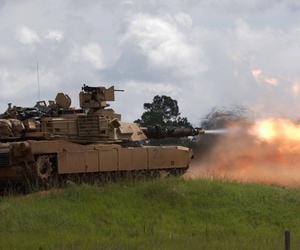 To meet these foes, the strategy says, the Army of the future must be much more mobile, with small teams that can fight like today’s large units — and do it in every domain of warfare, simultaneously. That idea is not entirely new. The world got a great glimpse of what modern, blended warfare looks like when thousands of little green men invaded Ukraine’s Crimean peninsula in 2014. “Adversaries have blurred the distinction between actions ‘below armed conflict’ and ‘conflict,’ enabling the achievement of strategic military objectives short of what the U.S. traditionally considers ‘war,’” the document says. 1. The exponential speed of information technology. U.S. forces can’t assume that they will have the best phones, drones, or computer hardware on the battlefield. As computers get smaller, cheaper, and more widely available, U.S. tech advantages will disintegrate. 2. Warfare will be much more urban. Some 60 percent (conservatively) of the Earth’s population will live in cities in 2030, many in megacities with populations of more than 10 million. This is where adversaries will try to engage U.S. forces, not in open fields or deserts where today’s Army and it senormous battle vehicles have the advantage. 3. The internet will be a key aspect of the battlefield, not just in terms of trading cyber attacks with enemy hackers but in the need to constantly and expertly shape global opinion about the conflict. 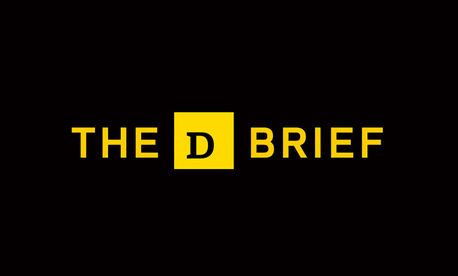 Troll armies spreading fake news and disinformation, coupled with enough social-media traffic to overwhelm open-source analysts, could “complicate the [Army’s] ability to gain and maintain an accurate, up-to-date, intelligence-driven understanding of the situation, as well as control of the information environment,” the document says. 4. Every bad guy becomes The Joker. The Army sees a rise of “Super-empowered individuals and small groups” who can “use access to cyberspace, space, and nuclear, biological, radiological, and chemical weapons of mass effects to change the battlespace calculus and redefine the conditions of conflict resolution.” Read that to mean: lone wolves and minescule teams with the power to rival many of today’s nation-states. Even the spread of personal phones and the internet of things will make U.S. troops easier targets. “Unmanaged signatures will become a critical U.S. vulnerability because the adversary’s forces will increasingly possess the ability to find and attack U.S. and allied forces at strategic, operational, and tactical distances simultaneously,” the document says. To fight in this environment, the Army will move toward smaller, much more versatile, and more capable formations — somewhat like today’s special operations forces that can embark on a wide variety of missions. These “semi-independent” formations won’t just be tasked with winning territory and holding it. They’ll have to do everything from flying drones (and defending against them) to shooting missiles deep into enemy territory (and getting the targeting data to do it) to outflanking the bad guys in cyberspace. And they’ll have to do it with less protection. “Formations must maneuver semi-independently, without secured flanks, constant communications with higher headquarters, and continuous lines of communications,” the document says. The “semi-independent” part is key. 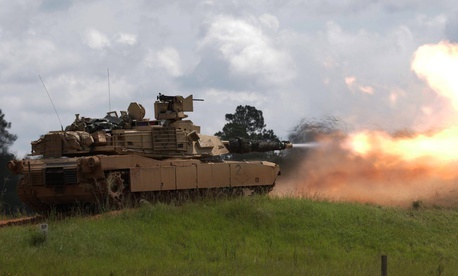 The Army still sees these smaller groups as connected to a much larger whole — perhaps even more so — but that doesn’t mean a return to large tank formations. Nor does it mean that every tiny, mobile, Swiss-Army-knife formation will also carry an enormous missile battery. Rather, little teams will have to be able to access capabilities like drones and fire support from somewhere, but the capabilities themselves will likely be shared — similar to how people use Uber. This idea of small, nimble, loosely connected nodes in sprawling networks fits well with what other services’ leaders have described as the future of the Navy and the Air Force. It’s a future where every nodes become smaller, and where connections grow in number even as connectivity itself is challenged.